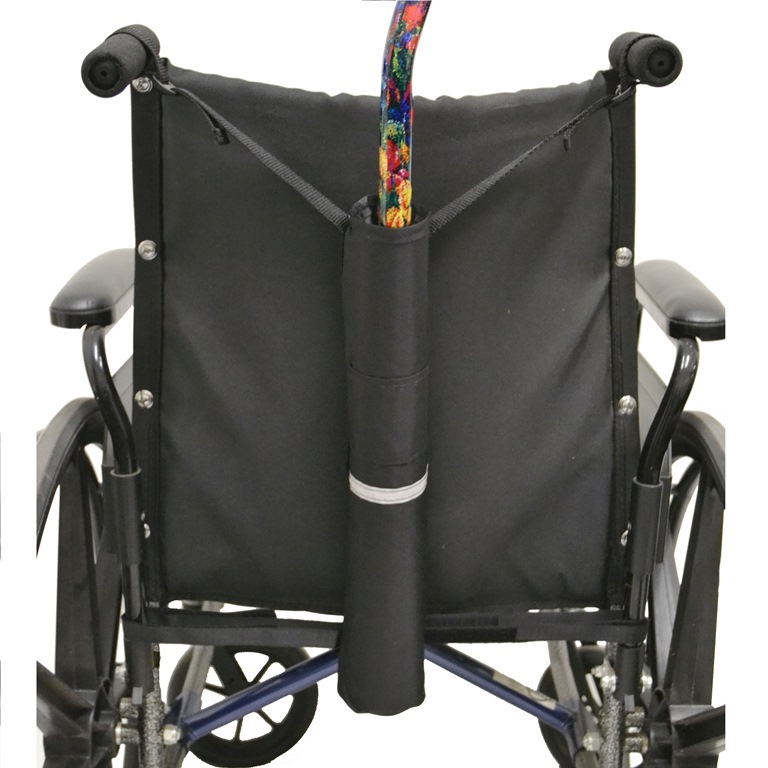 The Diestco Wheelchair Cane Carrier allows wheelchair users to carry a straight cane on the back of a wheelchair or powerchair with push handles. 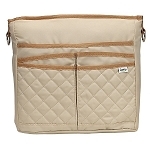 The adjustable straps allow the holder to easily attach to the push handles on the seat back. 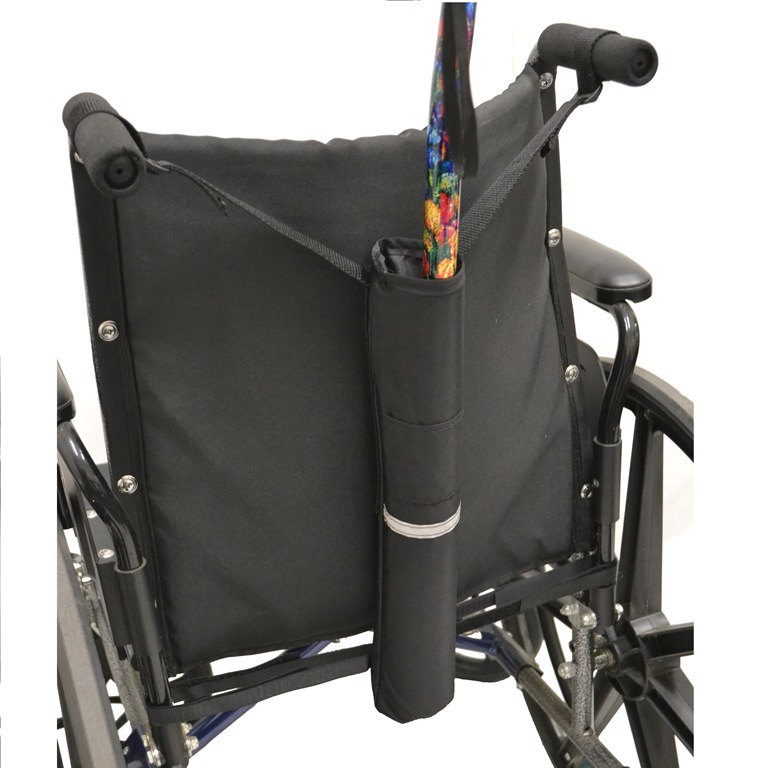 The Diestco Wheelchair Cane Carrier is constructed of high quality water resistant fabric and has 300-yard reflective safety tape for increased visibility. 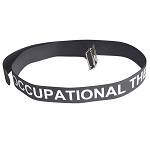 This durable holder measures 2.5 inches wide, 17.5 inches long. 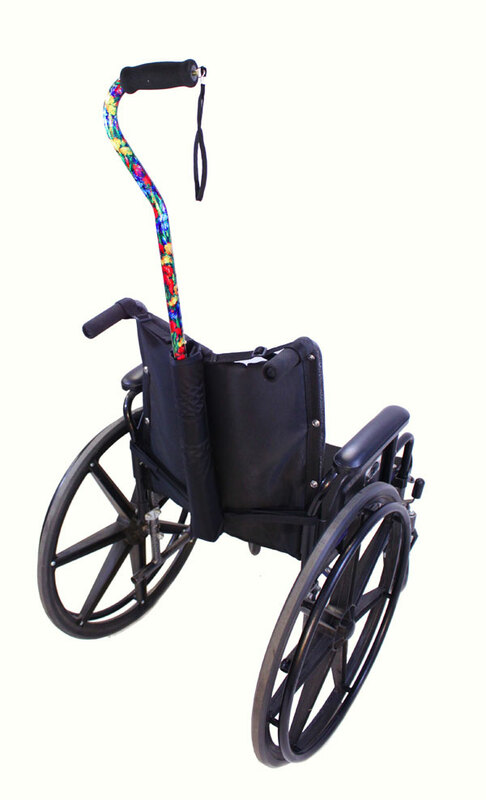 For manual wheelchairs with push handles, the straps of the Cane Carrier hook over the push handles. The Diestco Wheelchair Cane Carrier is made in the USA. Measures: 2.5 inches wide, 17.5 inches long. 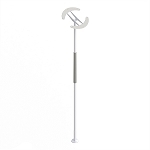 Holds: Standard straight walking canes. 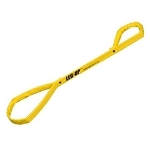 Q: how does it attach to scooter? 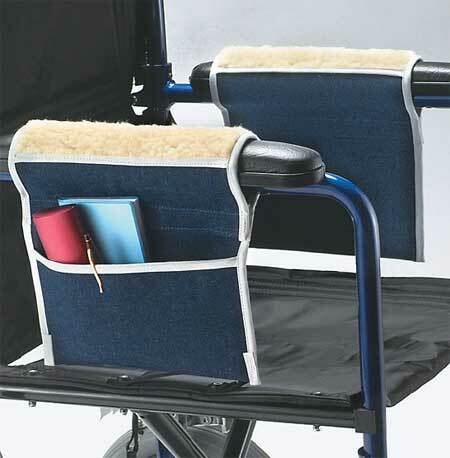 A: The adjustable straps allow the holder to easily attach to the push handles on the seat back. 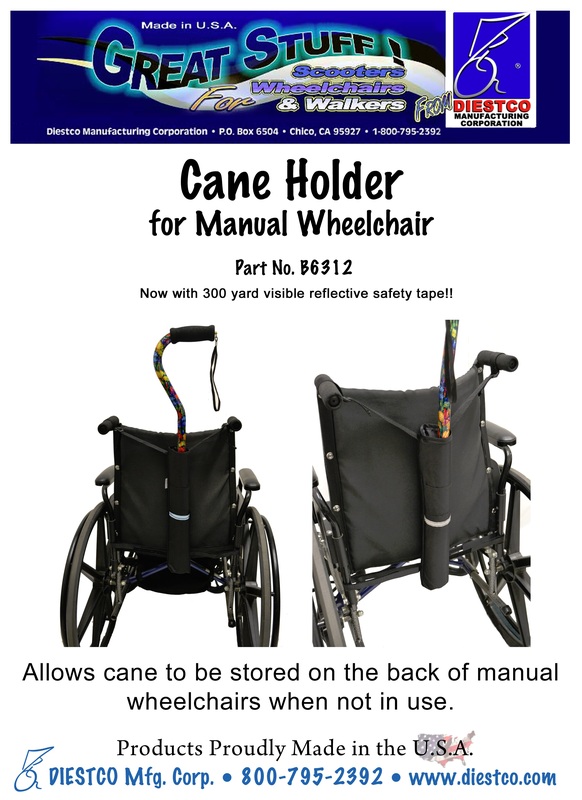 Q: The video shows a storage bag that attaches to the seat back, but in the description, only a cane holder is mentioned. The photograph is too indestinct to tell exactly what it is. Is it both a storage bag and a cane holder? 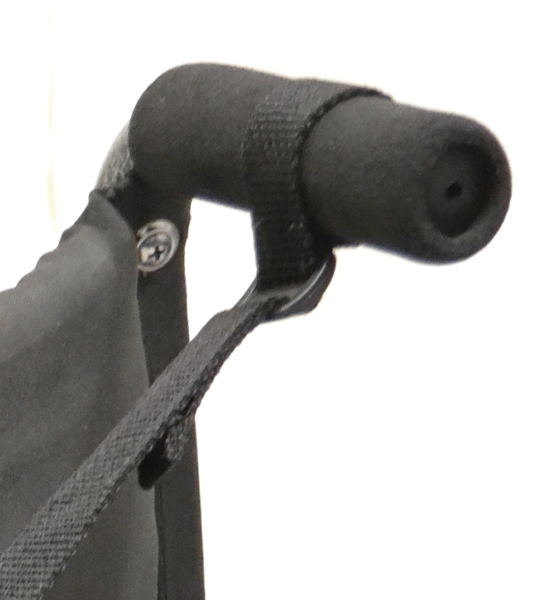 A: The Cane Holder is a long tubular bag. Measures: 2.5 inches wide, 17.5 inches long.